Before delving into the Sisyphean task of putting together the 100 theater roadshow and some of the problems with individual 70mm screenings you’ve been reading about, it’s important to first remember that while the ability to shoot on film might have recently come back from near death, the battle between digital and film projection has been over for awhile now. Even at the prestigious, filmmaker-friendly New York Film Festival — whose state of the art facilities are the rare venues still capable of screening 35mm — movies that were shot on celluloid, like “Carol,” “Bridge of Spies” and “Listen Up Philip,” have screened digitally (DCP). Recently, only “Inherent Vice” screened there in 35mm and that was big deal. So the idea of a three-hour 70mm film, shot in Ultra Panavision — a format for which hasn’t been used since 1964 and has an unruly 2.76:1 aspect ratio — screening four to five times a day in 100 different commercial theaters that ripped out their 35mm projectors years ago? Ridiculous. Yet that’s what Boston Light and Sound, a speciality projection and sound company, was tasked with early this year when they were approached by The Weinstein Company about “The Hateful Eight” roadshow. The project began with a nationwide search for 70mm equipment that had been abandoned or destroyed. Because there were not enough working or complete projectors and backup parts, BL&S had to design and manufacture 125 different parts, including gears, shafts, sprockets and rollers. They would also have to manufacture two different anamorphic lenses that could widen the image to accommodate Ultra Panavision’s extremely wide aspect ratio, develop kits that allowed old 35mm platters to handle the extra weight of a 3-hour-and-20-minute 70mm print, and locate and refurbish DTS playback systems to properly play the film’s sound. Oh, and so as to not burden DCP theaters that ripped out their film projectors years ago, all of this would need to be designed as a plug-and-play kit that could be shipped and quickly assembled in projection booths around the country. To give you a sense of just how vast this undertaking was, watch this three minute tour of all the once obsolete equipment that needed to be found, restored and retrofitted for the roadshow. Possibly the hardest job in pulling off the roadshow has fallen on the projectionists. To man 100 booths, BL&S scoured the country for the best possible candidates, reaching out to film festivals and cinema archives, training current projectionists, asking their own technicians to step into the position when necessary, and pulling celluloid projectionists out of retirement. The deck is stacked against these technicians right from the get go, with a majority getting their assignments late in December and given at most a day at their roadshow theater to prepare. “The technician assigned to the venues in Florida told me that when he used to work for a large theatre chain setting up projectors, they would spend a month testing and working out kinks before it was ready for showing,” explained Noelle Alemán, a roadshow projectionist stationed at the Regal Kendal Village Stadium 16 in Miami. 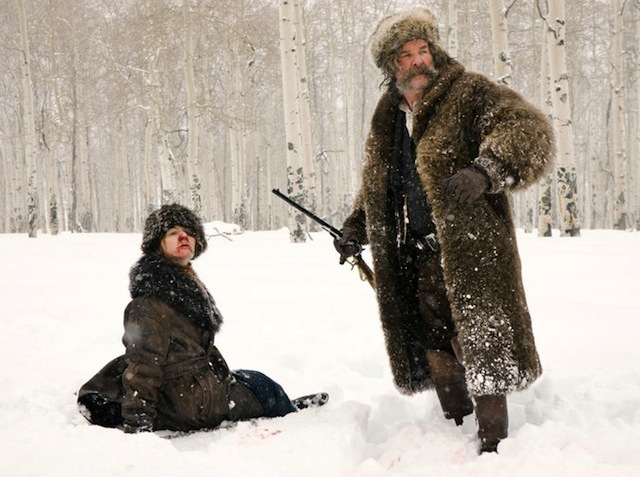 For this article, Indiewire talked to seven different “Hateful Eight” projectionists and all of them told the same story: for every one problem that interferes with one of the roadshow screenings, there are nine near catastrophes they are able to prevent. It’s intense and grueling work. Roadshow projectionists screening the movie four times a day are working 16-hour shifts, while five shows a day means a 20-hour shift, all without a day off for 14 straight days. They are sleep deprived, hungry and most are stationed in a strange city away from their families for Christmas and New Years. What’s developed though is a support network amongst the projectionist, who stay in constant contact over their smart phones, lending technical and emotional support. 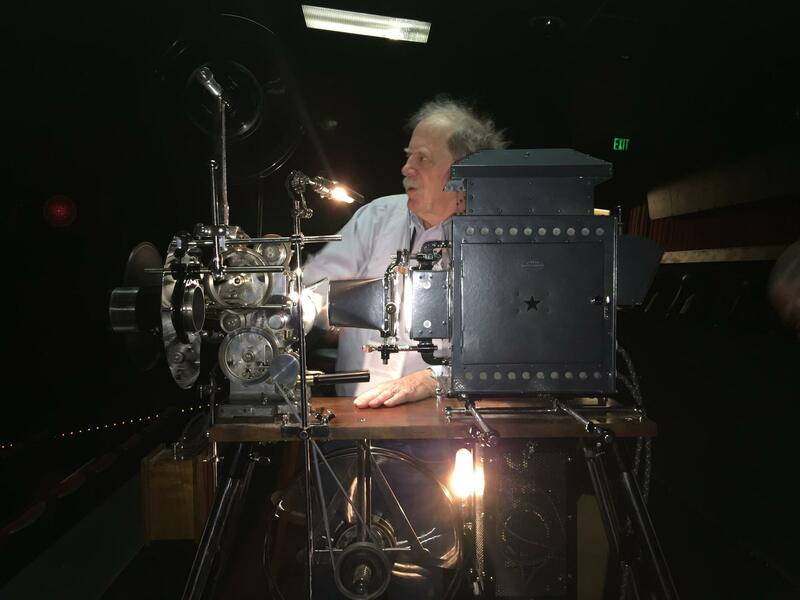 “I can tell you in all of my years I’ve never worked with a more talented and dedicated group of people,” wrote Cinemark Paradise 24 projectionist Jason Garnett in an email to Indiewire. “What we’re pulling off is nothing short of a miracle. It’s cinematic history and I know everyone loves being a part of it.” And that’s what really binds the BL&S employees and their projectionists together more than anything: they are all cinephiles, just as passionate about film being projected as Quentin Tarantino himself.